Iloilo is well known for its Dinagyang Festival – the annual celebration held every fourth Sunday of January to honor the Sto. Niño and celebrate the arrival of Malay settlers – and the song-like melody of their language, Hiligaynon. Not only that, it is blessed with a lot of ancient Spanish churches, each offering it’s own unique features. 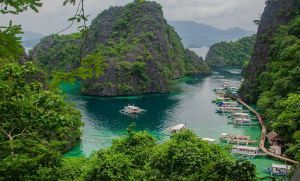 However, the province of Iloilo, is also blessed with a lot of natural beauty, and one place where visual feasts can be found is in Concepcion, which is a town 2-3 hours away from the city. There is no better way to describe Concepcion than a place of arresting beauty. 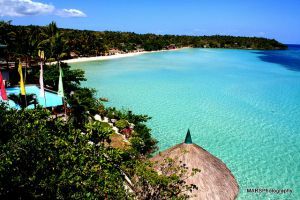 It is blessed with one of the most scenic seascapes in the entire province of Iloilo. The azure waters of the town are dotted with 16 islands, each with a different thing to offer. 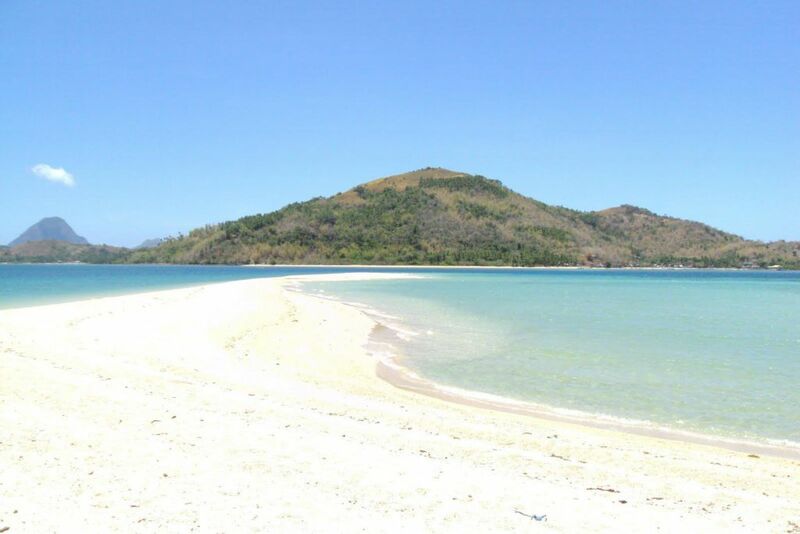 One such beauty is Bolobadiangan Island (also spelled Bulubadiangan) or Sandbar Island. It has gorgeous white sand and very tempting blue waters. It has a sandbar that shifts left or right depending on the direction of the wind. Mt. Manaphag in Pan de Azucar Island. It’s home to different kinds of marine life, which means snorkeling is a good activity in this island. It is small enough to be circumnavigated in an hour. Catch a bus headed for Concepcion in Tagbak Terminal in Jaro, IloiloCity. Although there are a couple of buses that provide this kind of trip, the HPQ bus is recommended. The travel time from the city to Concepcion is around 2.5 to 3 hours. If you want to get a head start, the earliest trip leaves the terminal at 7AM. Once you get to Concepcion, get to the fish port or wet market to hire a boat to get you to the island. On another note, the Sandbar Island Beach Resort (which is the only resort on the island) also has a pump boat service for their guests. The travel time is around 20-30 minutes. Take a bus headed to Ajuy and get off at the terminal. At the Ajuy terminal, board another bus headed for Concepcion. Take a flight bound for Iloilo. From Manila, the flight time would be more or less an hour. From Cebu, the flight time would be less than 30 minutes. You can choose to book a hotel or pension house in Iloilo City if you want to relax before you head out to Concepcion. Booking an accommodation in the city is also useful if you want to explore more of what Iloilo has to offer other than Concepcion. There is only one resort on the island aptly called “Sandbar Island Resort.” You can choose to book a room here or for a bit more fun, pitch a tent. You can also rent one of the many cottages so you have a comfortable place to eat. There is electricity on the island, but only until a certain time (9 or 10 pm). So you get to walk around with your path being lit. Go around the island. The island is rather small and it can be circled in just a few hours. It’s best to do this when the sun is still up so you really get to take good pictures. The back part of the island has interesting rock formations. Go island hopping. There are 15 other islands that surround Sandbar Island which are also worth a visit. The resort on the island can lend their pump boat for a certain fee to tour one or two islands. You can also inquire from the other boats docked if they can be hired for island hopping. Start a bonfire. You can then chat around the fire or cook roast marshmallows and hotdogs. 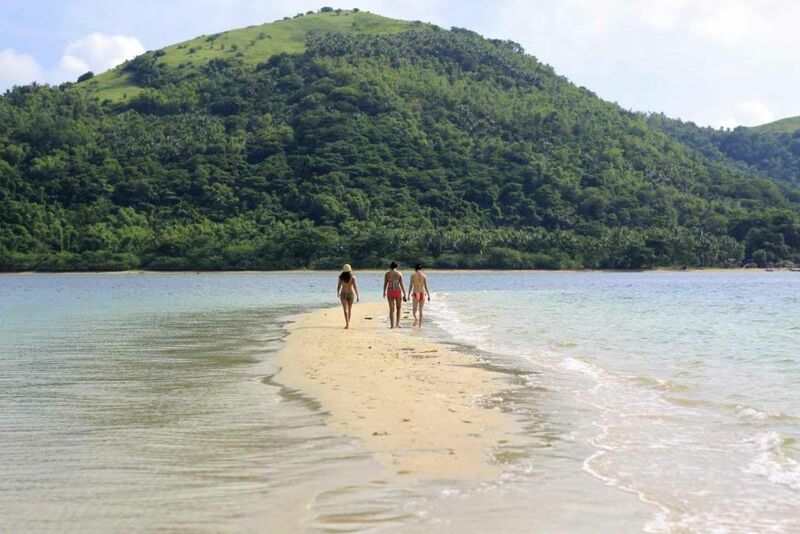 If your idea of a vacation is to soak in the beauty of nature, you could never go wrong with Bolobadiangan Island in Concepcion.